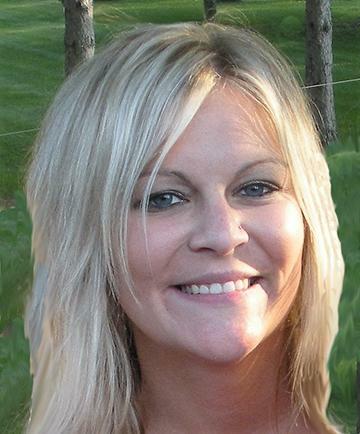 Britany Beth Larson, 32, of Fairmont, formerly of Hutchinson and Buffalo Lake, died Thursday, Aug. 4, 2016, as the result of a motor vehicle accident. Honorary urn bearers were Matthew Klitzke, Nathan Klitzke and Kristopher Klitzke. Britany Beth Larson was born Dec. 26, 1983, in Hutchinson, the daughter of Quentin and Jolene (Moldestad) Larson. She was baptized as an infant at St. Anastasia Catholic Church, and confirmed in her faith as a youth at St. John’s Catholic Church in Hector. She attended elementary school at St. Anastasia in Hutchinson, and graduated with the class of 2002 from Buffalo Lake-Hector High School. She continued her education at Ridgewater College in Willmar and Rasmussen College in Bloomington, and earned her degree in business administration. Ms. Larson was formerly employed with Mayo Hospital/Clinics, having worked in the St. Paul and Fairmont clinics. She loved life, and was the life of every party. Her humor and laughter were infectious, and she easily made friends wherever she was. Through her humor, she could find a silver lining in any difficult situation. Her wit and sarcasm resulted in many long-running pranks with friends and family. She took great pride in making her house a home, and enjoyed decorating and do-it-yourself projects for what she coined “the dollhouse.” She loved everything pop culture, and never found a reality TV show that she didn’t like. She adored her fur-baby Yorkie dog, Cooper Nicholas (he had to have a middle name! ), who brought her great joy, and comforted her in difficult times. In turn, she showered him with love, buying him special outfits and making him special food. She loved her family deeply, and wanted nothing more in life than to make them proud of her. Her quick-witted humor, her bright smile and the twinkle in her eye will be dearly missed by many. She is survived by her mother, Jolene Reck of Inver Grove Heights; father and his wife, Quentin and Pam Larson of Hutchinson; sister and brother-in-law, Lyndsay and Jason Howard of Mendota Heights; nephews, Mitchell Howard and Greyson Howard; grandparents, Kate Moldestad and Ivan Larson; aunts and uncles, Carol and Doug Dobratz, Linda and Bob Wraspir, Dave Klitzke, Mark Larson and Jeff and Ivy Larson; stepfather, Tod Reck of Buffalo Lake; stepsister and stepbrother, Tammy Lindahl and Sean Lindahl; stepnephew, Austin Willett; many cousins, relatives and friends. She was preceded in death by her brother, Mitchell Larson; grandparents, Clifford Moldestad and Mary Larson; aunts, Kathy Klitzke and LeAnn Larson; and by her dog, Cooper. Arrangements were with the Dobratz-Hantge Chapel in Hutchinson. Online obituaries and guest book can be found at www.hantge.com.